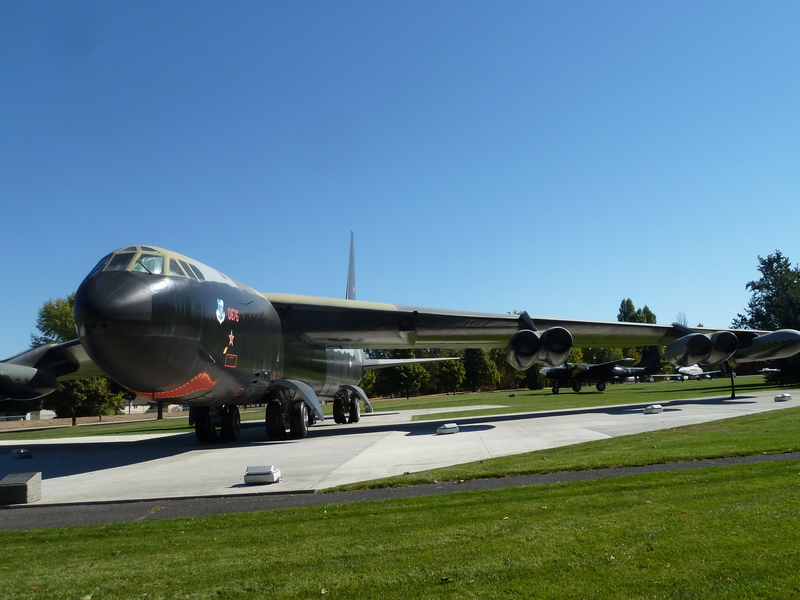 Boeing B-52 Model D, aircraft #56-0676 now sits on static display at the Heritage Air Park on Fairchild Air Force Base, near Spokane Washington. Driving on to base one first passes the base Chapel, before being greeted by the black nose of this beautiful bird. Sitting silent sentinel, guarding the base entrance. 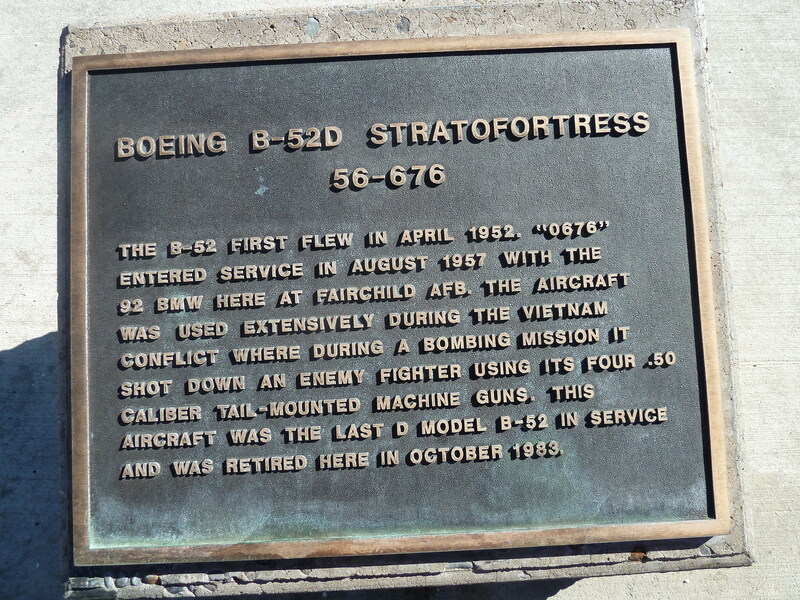 According to the plaque at the installation, she was retired at the base in 1983. 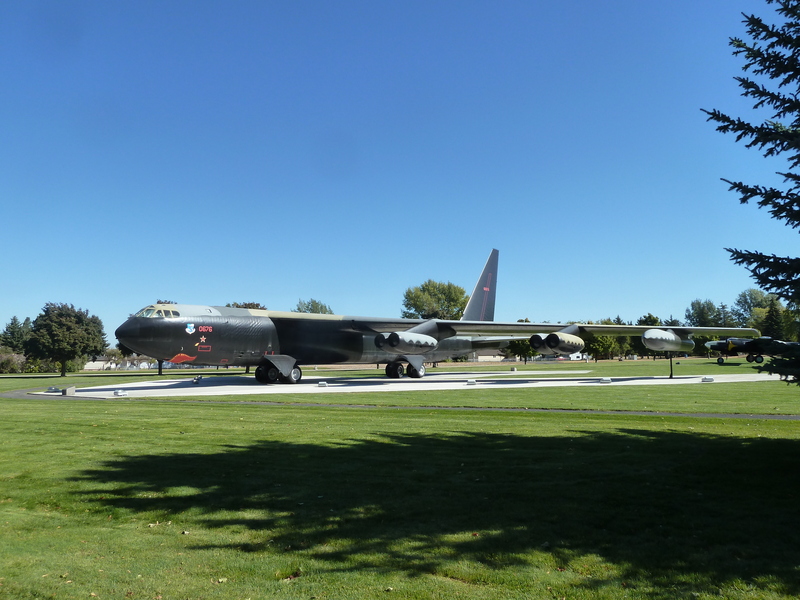 She was the last D model B-52 in service. From his Pilots Flight Log Book, I was able to determine that my Grandfather flew this very same aircraft a total of 17 times for a total of 157.5 flight hours. PAGE# FLIGHT # PLANE HOURS MIN TOTAL TIME (hrs) AIRCRAFT NO. I was fortunate to be able to see her for myself, along with my son on a recent visit to Spokane. 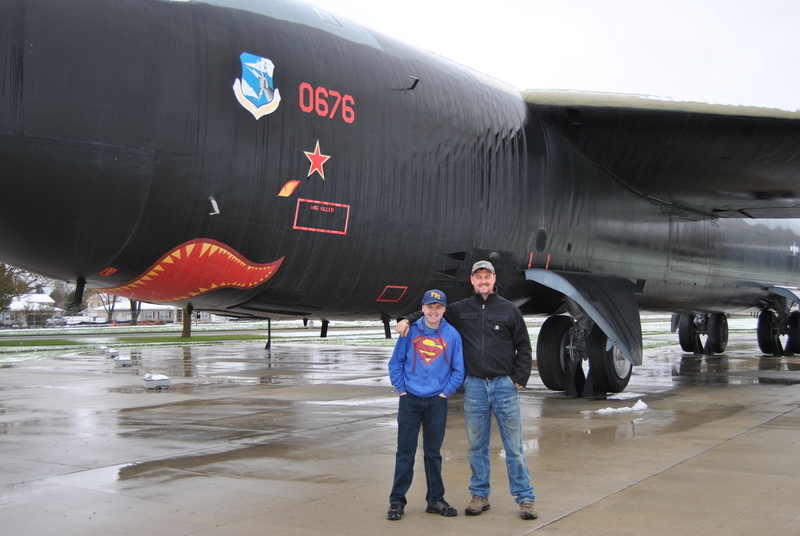 Grandson, and Great-Grandson of Col Potter, standing next to an aircraft he spent nearly 158 hours piloting through the skies. At least one of those missions – clocking in at 24hrs 20min flight time – most likely an Operation Chromedome mission. Where she took him, and her load of Nuclear bombs on a trip around the world. 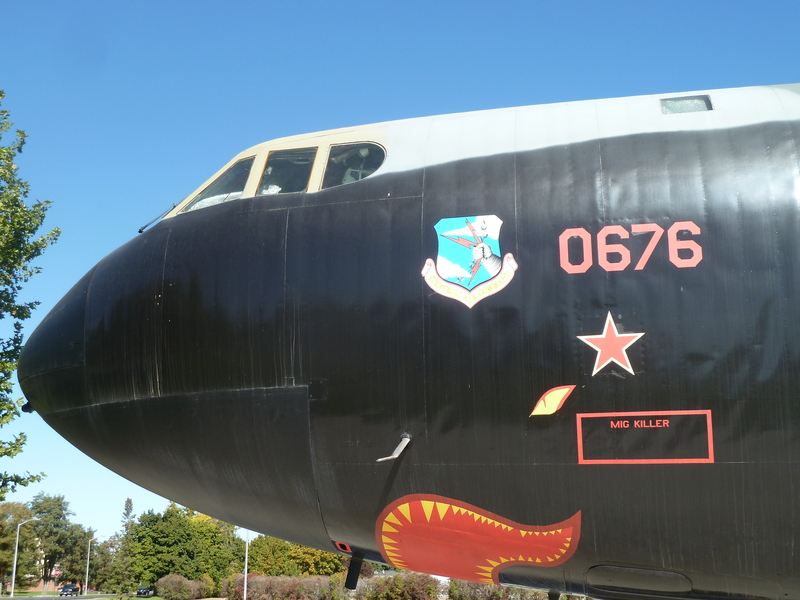 According to Wikipedia a total of 744 Boeing B-52’s were built between the years of 1952-1962. 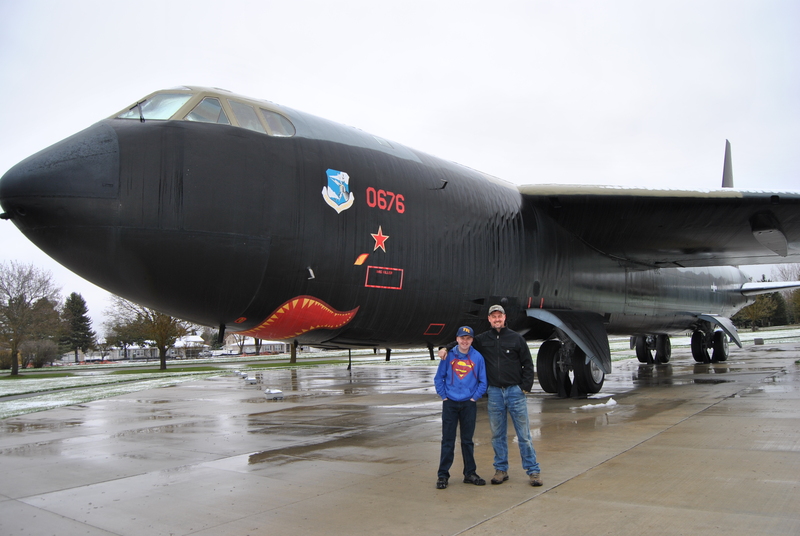 From his Flight Log Book I was able to determine that Grandpa flew a total of 150 different B-52 Bombers, as identified by their Aircraft Number. 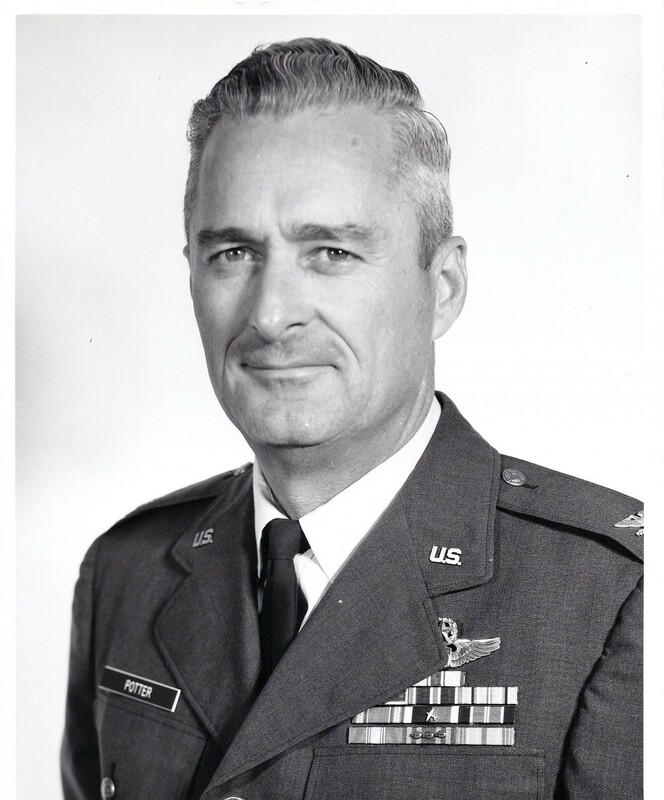 Which is to say, Col. Potter flew a total of 20.1% of ALL of the Boeing B-52 Bombers ever produced! Many of these same beautiful planes are still flying today. And will be for many more years to come. I cant help but wonder, how many of the planes Grandpa flew, are still flying today. 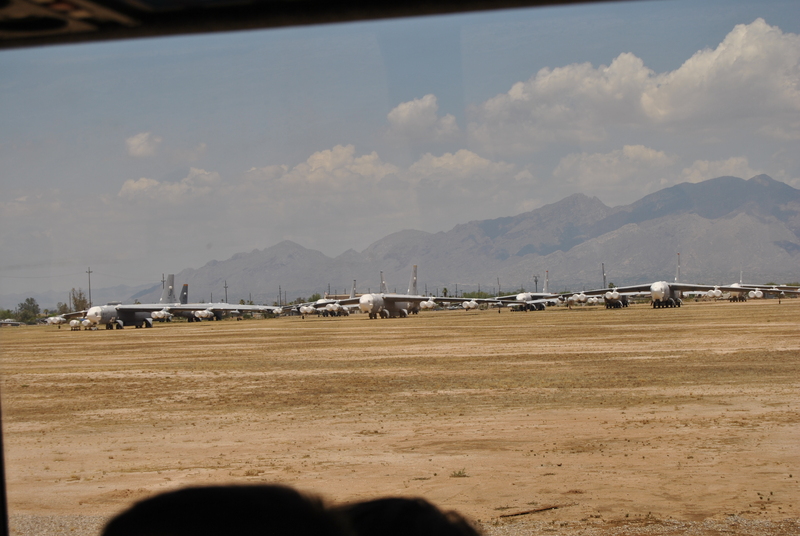 Many many more B-52’s are now stored at the “Boneyard”, on Davis Monthan AFB in Tucson AZ. 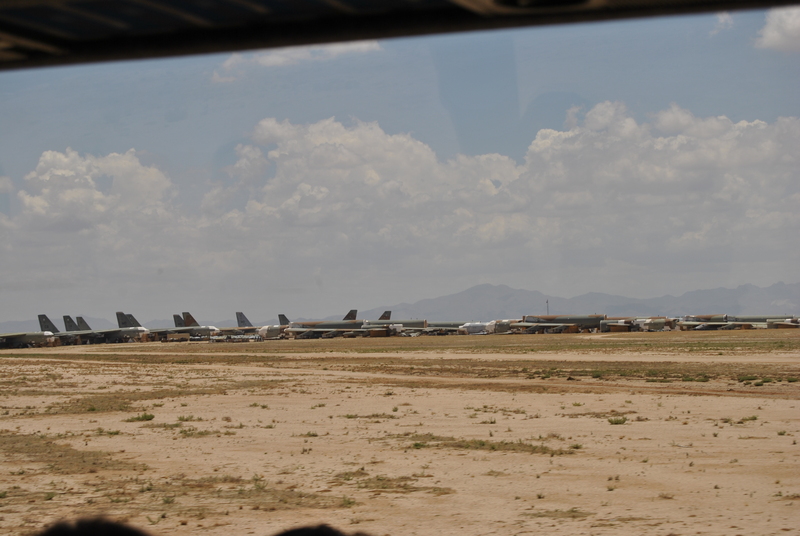 Several years ago both of my Sons and I were able to tour the Boneyard. And see so many of these beautiful planes, now parked in storage. How many of these planes did Grandpa fly? How many hours in the Pilot seat, flying through the skies so high above. In the end, for a total of 4188hrs in B-52’s. And how many of these sad aircraft did he fly. Now with their wings brutally severed, and bodies chopped into pieces. As a sign to the Russians of America’s peaceful Nuclear intentions. Once glorious proud birds, capable of around the world flight. Capable of delivering the most destructive instrument of War. Now sitting forlornly in the hot desert sun …. in pieces. Each having spent so much time in the air, Piloted by my Grandfather and so many other of pilot’s after him. Now grounded forever, never to soar the skies again. I dont have the resources to say for sure. But I do have enough, to be fairly certain many of the same planes my Grandfather flew are now are here. While others still patrol the skies above us.